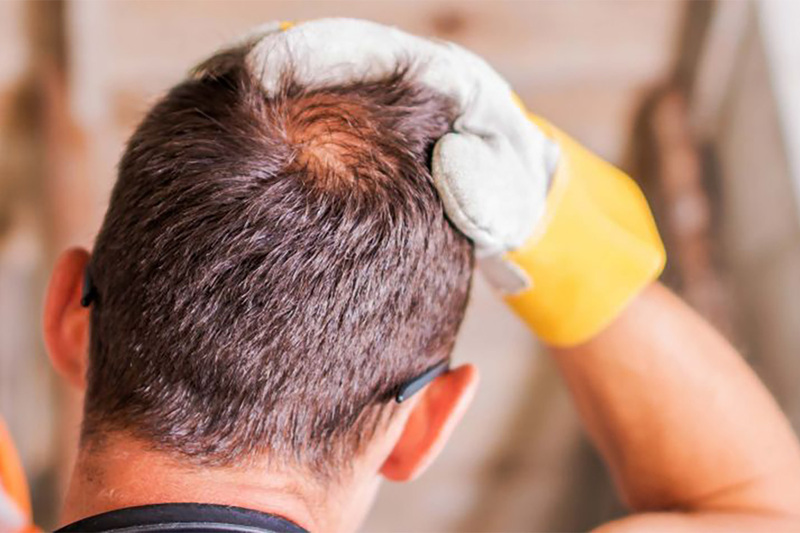 This article covers exposure, training, control measures, and more. In addition, there must be an opportunity for interactive questions and answers with the person conducting the training session (29 CFR 1910.1030(g)(2)). 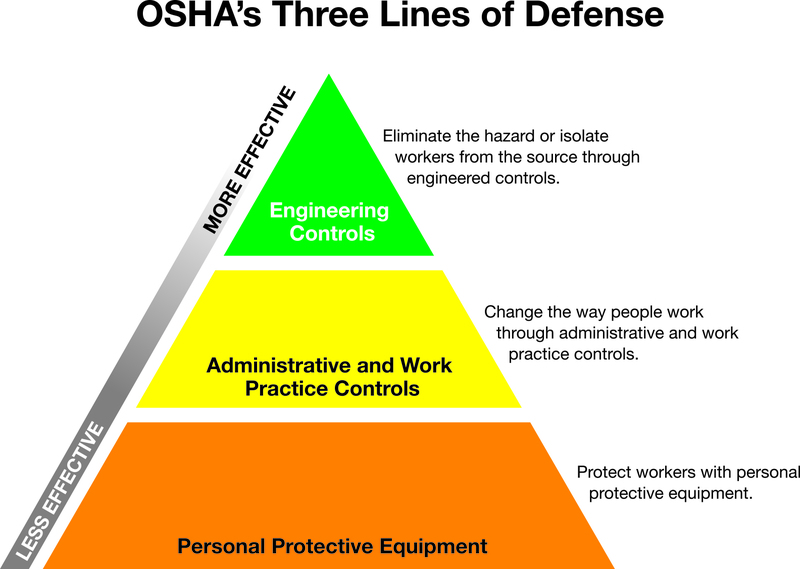 OSHA recognizes the “Three Lines of Defense” as a way of thinking about and applying specific actions to reduce or eliminate potential exposures to identified hazards. This is a commonly used and understood practice within the safety community. In this philosophy you always apply the most effective method first, working down from there. This begins with eliminating/engineering the hazards out, then implement administrative controls such as policies and procedures. And lastly, if the first two lines of defense are not feasible, it incorporates the use of PPE. Preventing exposure to bloodborne pathogens is a critical step in eliminating the health hazard. Employers must provide PPE to employees with potential occupational exposure to eliminate or minimize the risk of infectious material entering their bodies. PPE is considered to be appropriate only if it does not permit blood or OPIMs to pass through or reach the employees' outer clothing, undergarments, skin, eyes, mouth or other mucous membranes under normal conditions of use. Following is a list of PPE and when it should be used. The employer must maintain medical and training records for each employee who faces the possibility of being exposed or who has been occupationally exposed to a bloodborne pathogen (29 CFR 1910.1030(h)). 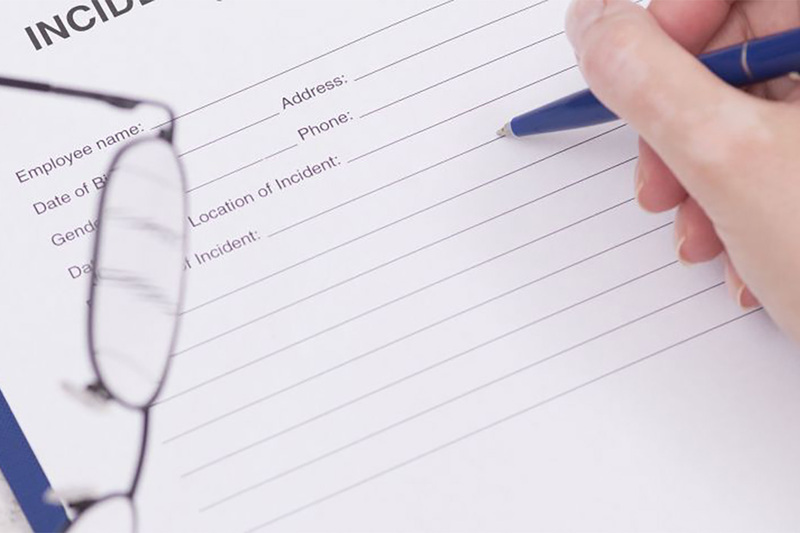 Employers are also required to establish and maintain a sharps injury log. Q. What are sharps disposal containers? A. A sharps container is a place to deposit sharp instruments (e.g., needles or medical cutting tools) for disposal. These containers are puncture-resistant, leak-proof on the sides and bottom, closable and properly labeled or color-coded. They assure a higher level of safety than disposal bags. Q. Can biohazard bags or containers be both labeled and color-coded? A. Yes. OSHA's bloodborne pathogens standard states that containers must be either properly labeled or color-coded. Having both simply exceeds the intent of the regulation.